Kirkwall passenger and car ferry ticket prices, timetables, ticket reservations and information for ferries sailing from Kirkwall to Aberdeen and Lerwick. Compare all available Kirkwall ferry ticket prices in real time and book the cheapest available Kirkwall car and passenger ferry tickets sailing to and from Kirkwall, Aberdeen and Lerwick with Northlink Ferry Line ferries online with instant confirmation. Book Kirkwall Ferry Tickets with Northlink Ferry Line for ferries sailing from Kirkwall to Aberdeen and Lerwick online in advance to enjoy the cheapest available ferry ticket price. The price you see is the price you pay. There are no hidden extras or surprises such as added fuel surcharges or booking fees and we do not charge you anything extra for paying with a Visa Electron card. The price we quote you for your selected Kirkwall passenger or car ferry ticket, onboard accommodation and vehicle type is all you will pay, and that's a promise. To obtain a Kirkwall ferry ticket price and book your ferry ticket securely online please use the real time ferry booking form on the left. You are also able to add a hotel at your destination, or anywhere else, to your ferry ticket when completing your ferry ticket reservation. Kirkwall, situated on the northern coast of Mainland Orkney is a port with ferry services to Aberdeen and Lerwick, as well as the principal north Orkney islands in the group. Kirkwall is also the terminal for many of the ferries to Orkney's north isles. The ferry to Shapinsay departs from a slipway on the west side of the lifeboat pier. Ferries to Westray, Stronsay, Sanday and Eday depart from the linkspan on the main pier. At the heart of the town stands St. Magnus Cathedral, which was founded in memory of Saint Magnus Erlendsson, Earl of Orkney 1108-1117 by Earl (later Saint) Rögnvald Kali. Next to the Cathedral are the ruins of the former Bishop's Palace and Earl's Palace. The town has two museums: Tankerness House Museum, which is contained within one of Scotland's best-preserved sixteenth century town-houses, contains items of local historical interest. Kirkwall seems more a Scandinavian town than a Scottish one, and for a large part of its history it was one. The name comes from the Norse "Kirkjuvagr", or "Church Bay" and comes from the foundation of a church to St Olaf here in the early 11th Century. By 1046 Kirkwall was a farming and market centre, and in 1137 the Norse Earl Rognvald commenced the building of St Magnus Cathedral here. Work began a little later on the construction of the nearby Bishop's Palace. In 1468 Orkney was acquired by James III for Scotland and by 1540 Kirkwall was the administrative centre for both Orkney and Shetland. 1607 saw Earl Patrick Stewart replace the Bishop's Palace with the Earl's Palace. While Patrick was imprisoned in Dumbarton Castle for his tyranny in 1614, his son Robert rose in rebellion, seizing the Earl's Palace and nearby Kirkwall Castle. The castle did not survive the siege that ended the uprising, and neither Robert nor Patrick survived the judicial process that followed it. In 1798 a hillside site overlooking Kirkwall started to be used by one Magnus Eunson for illegal distilling and whisky smuggling. In 1825 the operation was legalised as Highland Park Distillery, Scotland's most northerly. Highland Park continues to thrive, and is also now also one of Orkney's most popular visitor attractions. Overlooking nearby Scapa Bay is Scotland's second most northerly distillery, Scapa Distillery. The story of Kirkwall has largely been the story of the development of its harbour. In the early days the bay extended further south than it does now, to the Peerie Sea. These days this is a manicured inland lake. In the 1100s it formed the harbour and extended almost to the west end of the Cathedral. In 1811 work began on a series of harbour improvements at the north end of the town, on the site of today's harbour. These improvements have continued over the years, and the late 1990s saw a significant extension to the main pier. 2003 saw the trend continue with the completion of deeper water port facilities a little around the bay at Hatston. Only some of the 70 cruise ships that call into Kirkwall each year could previously berth at the quayside. Others had to anchor in the bay and transfer passengers to dry land on tenders. The pier at Hatston means this far fewer now need to do so, and it also serves the larger NorthLink Ferries that replaced the long-standing P&O services to Aberdeen and Lerwick. Best Price Guarantee - We always offer you our lowest available Northlink Ferry Line passenger and car ferries ticket price to and from Kirkwall. There are no hidden extras or surprises such as added fuel surcharges or booking fees and we also we do not charge you anything extra for paying with a Visa Electron card. The price we quote for your selected Kirkwall ferry ticket, onboard accommodation and vehicle type is all you will pay, and that's a promise! In the unlikely event you find the same all inclusive Kirkwall ferry ticket cheaper in the brochure of any other tour operator we promise that we will do our best to beat that price or offer you the choice of requesting a refund. 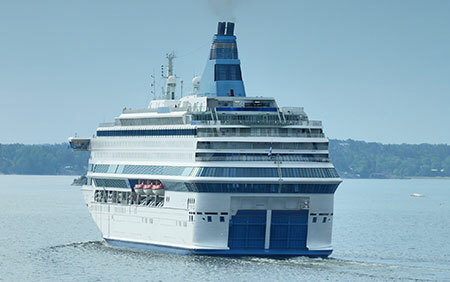 To book Kirkwall car and passenger ferry tickets please click here. At ferryto.com you are able to obtain live Kirkwall ferry ticket prices, check availability and book car and passenger ferry tickets to and from Kirkwall at our lowest available ticket price. Ferryto.com is part of the world's largest online ferry ticket distribution network providing the ability to book over 80 major European ferry operators including to Kirkwall and to over 1,200 other ferry routes throughout the UK, France, Spain, Ireland, Holland, Eastern Europe, the Mediterranean, the Baltic and North Africa.